$65. 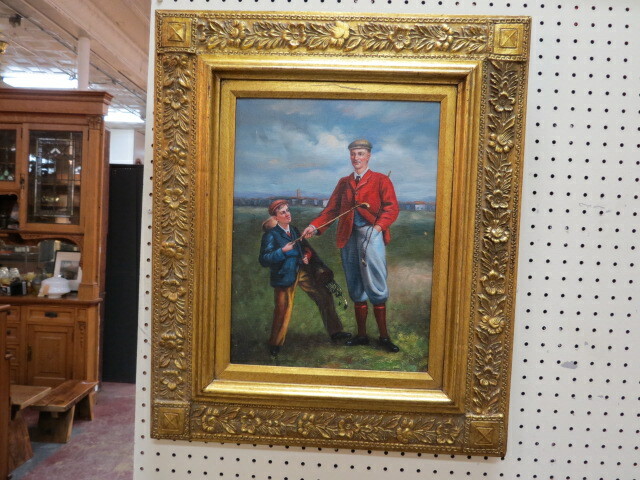 Vintage 1900s golfer and caddy oil painting. Nice oil painting on canvas of a golfer and his caddy, c. 1900. Colors of red, green, brown, and blue. Double gold carved gesso frame with flowers and leaves. Perfect for your gallery wall. Excellent condition. 21in wide, 25in tall.